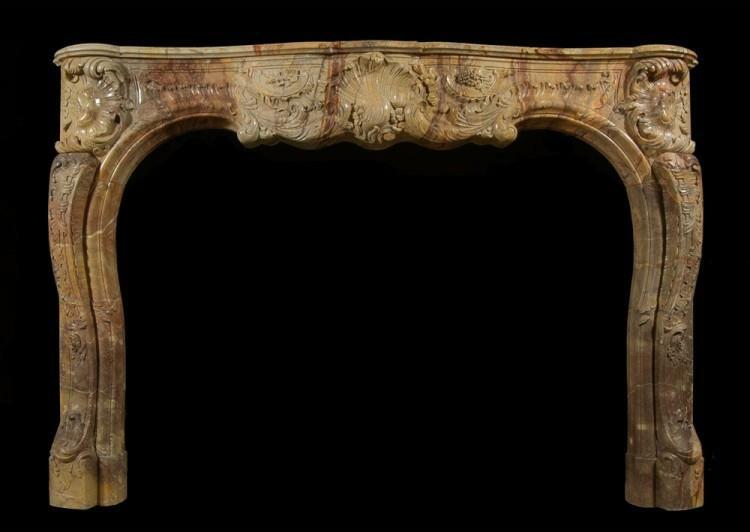 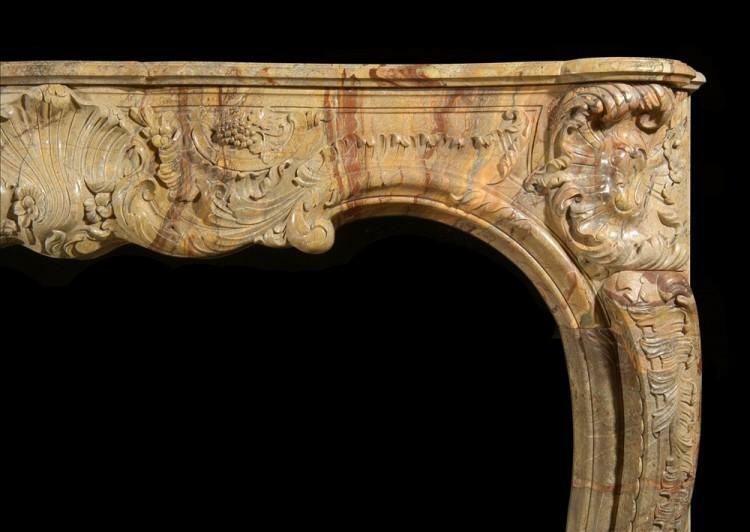 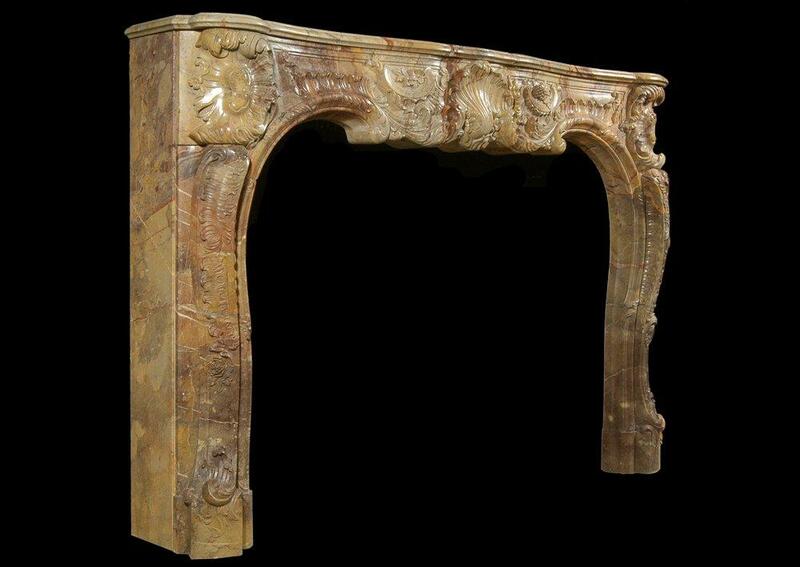 A superb quality French Louis XV style carved Sarrancolin marble fireplace, the frieze with centre shell and scrolls, foliage and grapes. 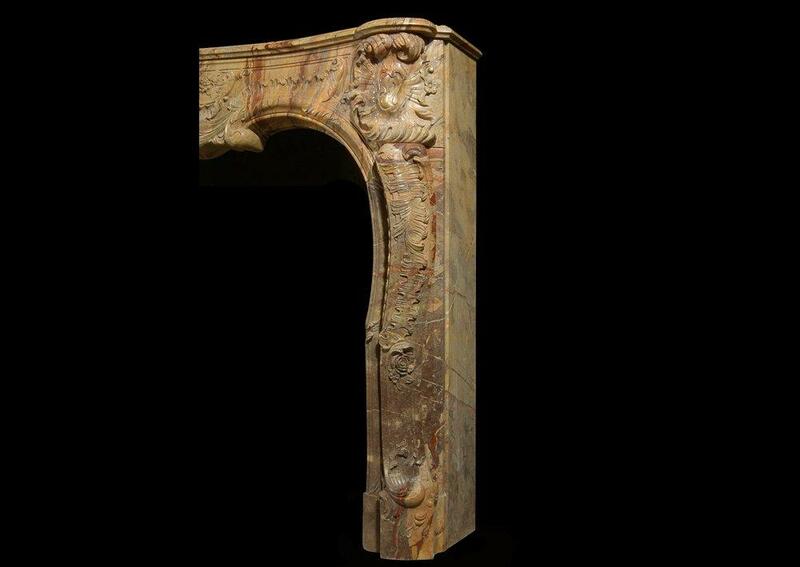 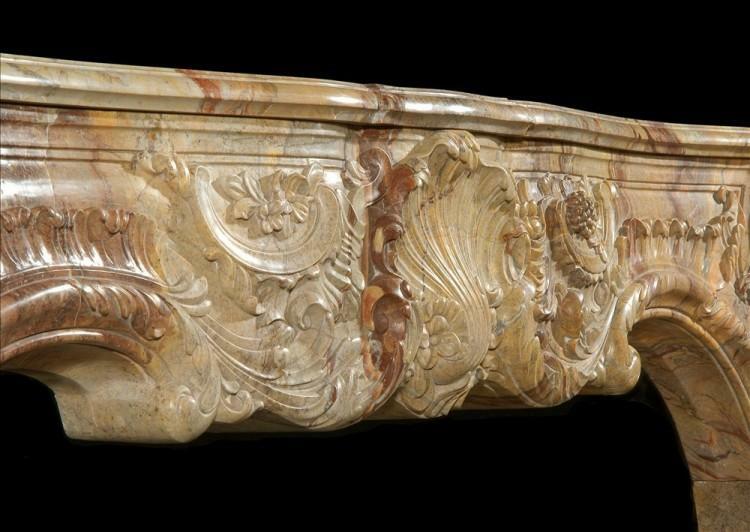 The shaped jambs with stiff acanthus leaf carvings, surmounted by leaves and scrolls. 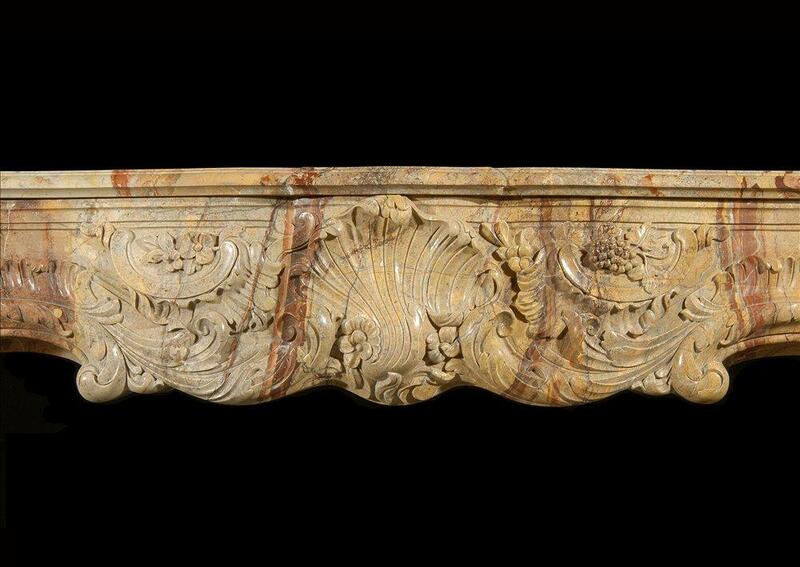 Shaped serpentine shelf.